#MoviesMusicPlaysFilmFestivalsConcerts: Sundance 2015: The Orchard takes North American rights to Joe Swanberg's hit "Digging for Fire"
Sundance 2015: The Orchard takes North American rights to Joe Swanberg's hit "Digging for Fire"
The Orchard announced yesterday that the company is acquiring North American rights to Joe Swanberg's DIGGING FOR FIRE. The film is co-written by Jake Johnson and Swanberg and it stars Jake Johnson, Rosemarie DeWitt, Orlando Bloom, Brie Larson, Sam Rockwell, Anna Kendrick and Mike Birbiglia. DIGGING FOR FIRE was produced by Swanberg, Alicia Van Couvering and Jake Johnson. The film had its world premiere at the 2015 Sundance Film Festival. The film follows the discovery of a bone and a gun which sends a husband and wife - each full of doubts about their future and anxiety about the present - on separate adventures over the course of a weekend. At the premiere's Q&A, Swanberg explained that the movie was about the realization that a marriage should be "two individuals agreeing to be in a relationship, rather than two people melting into one thing." The picture was filmed in LA on 35mm film, with a sprawling ensemble cast that also includes Sam Elliot, Judith Light, Ron Livingston, Melanie Lynskey, Jenny Slate, Tim Simons, and Jane Adams. "After admiring Joe's films for a long time, it's a dream for us to have the opportunity to work with him," said The Orchard's SVP of Film & TV, Paul Davidson. "We think audiences will flock to DIGGING FOR FIRE for its engaging and comedic look at adult relationships and we're excited to work with Joe, Jake and Alicia to make that a reality." Said Swanberg, "I came to Sundance to find the company that loved my film the most, and would do the smartest and most aggressive job releasing it. I have found that company in The Orchard and can't wait to start this new relationship." This is Swanberg's second collaboration with Jake Johnson, following DRINKING BUDDIES, and his second film in two years at Sundance, following HAPPY CHRISTMAS. 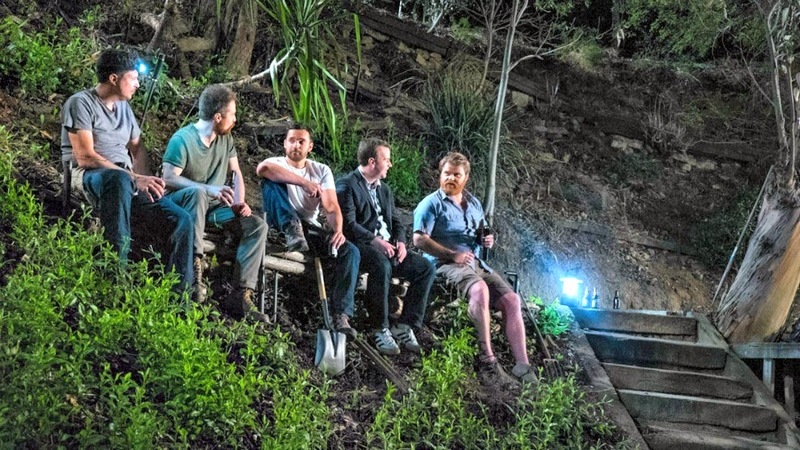 "I wanted to work on DIGGING FOR FIRE to get another opportunity to work with Joe Swanberg," said Jake Johnson. "He is a true collaborator. His movies are essentially written by the ensemble and he wants everyone at their best. As a director, he is a true artist, and I love having the chance to work with him." The deal was negotiated by The Orchard Director of Acquisitions Danielle DiGiacomo and the filmmakers directly, with Andr é Des Rochers of Gray Krauss Stratford Sander Des Rochers, LLP. The Orchard also picked up North American rights to Patrick Brice's THE OVERNIGHT at this year's Sundance Film Festival.